“Of course there was a reading-room. Where? Where! why, over there. Where was over there? Why, there! Let Mr. Idle carry his eye to that bit of waste ground above high-water mark, where the rank grass and loose stones were most in a litter; and he would see a sort of long, ruinous brick loft, next door to a ruinous brick out-house, which loft had a ladder outside, to get up by. That was the reading-room, and if Mr. Idle didn’t like the idea of a weaver’s shuttle throbbing under a reading-room, that was his look out.” Thus ‘Francis Goodchild’ described Allonby’s reading room to his companion ‘Thomas Idle’. We know the story and its sequel because they wrote about themselves, as Goodchild and Idle, and their adventures, in The Lazy Tour of the Two Idle Apprentices. They set out with great expectations. 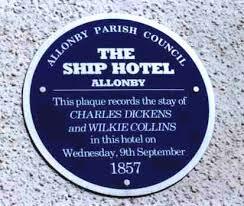 At Allonby, Collins hauled himself up “a clean little bulk-headed staircase, into a clean little bulk-headed room”, at the Ship Hotel, and lay in enforced idleness for three days while the inflammation in his ankle decreased. Dickens, meanwhile, was required to explore and describe the village to his sessile companion: perhaps he wasn’t a shore-walker, for he doesn’t mention the shore. He was very rude about Allonby. Where now we have the Reading Room/ Th’ old weaving factory stood,/There busy men, with fourteen looms,/for many mouths earn’d food. A reading room had indeed been established above the weaving shed, but this was soon to change. Thomas Richardson, a Quaker, banker, and local philanthropist, commissioned the construction of a new building, with considerable financial backing from his cousin Joseph Pease, who was the country’s first Quaker MP. Gradually, though, usage declined. The Trustees sold the building in the 1970s, and for the next 30 years or more, the Reading Room decayed, its disintegration accelerating when the roof collapsed during a storm. It began to resemble Dickens’ “ruinous brick loft”. 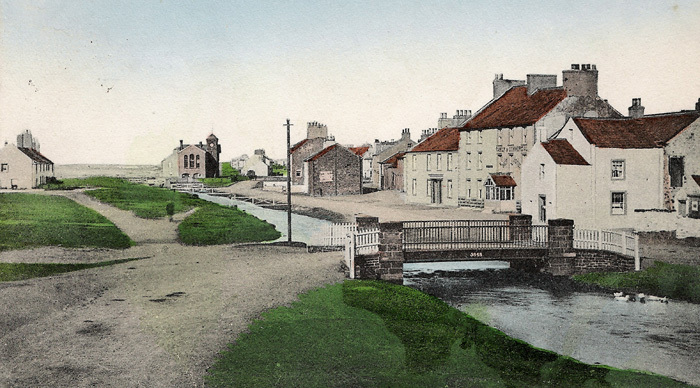 Every time I walked or drove through Allonby I was saddened by its decrepitude, its boarded windows and surrounding drifts of wind-blown rubbish. 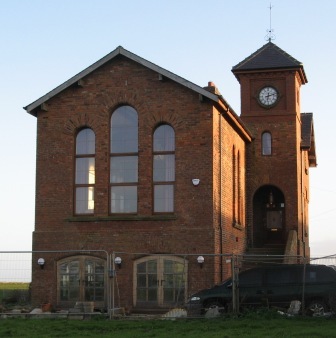 Then, in 2005, it acquired new owners and eventually, by January 2014, the Times & Star was able to report, in a feature illustrating the interior, that Allonby’s Reading Room had been converted from “a seaside eyesore into a stunning, desirable home”, through a “labour of love” by the owners (and, presumably also, by Darren King). 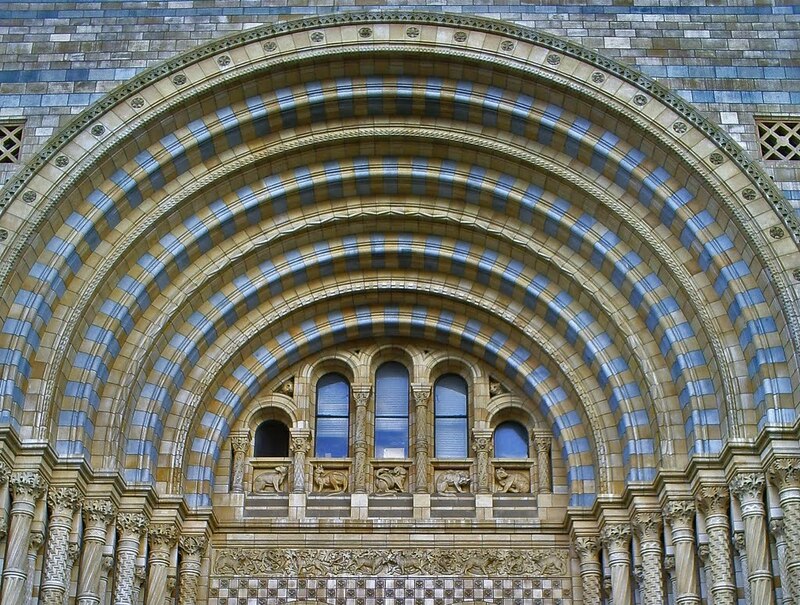 As for the original architect, appointed by Joseph Pease, he was a Quaker from Manchester –Alfred Waterhouse, who went on to design the rather more magnificent Natural History Museum in South Kensington, London. 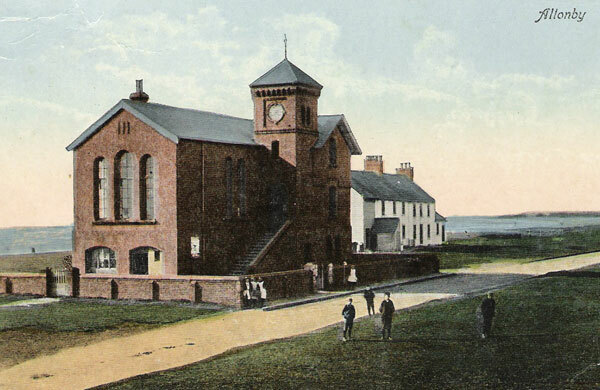 This entry was posted in Allonby and tagged Alfred Waterhouse, Allonby, Dickens, literary connections, Natural History Museum, reading room, Wilkie Collins. Bookmark the permalink.